Host of NPR’s Wait Wait . . . Don’t Tell Me! Tickets available online July 1, 2019. As a playwright, his work has been produced or commissioned by the Long Wharf Theater, Seattle Rep, Actor’s Theater of Louisville, Florida Stage and many others here and abroad, and he’s won awards from the Lannan Foundation, the Eugene O’Neill Theater Center and fellowships from the Camargo and Jerome Foundations. His screenwriting career began and pretty much ended with Dirty Dancing 2: Havana Nights, which he wrote without meaning to. 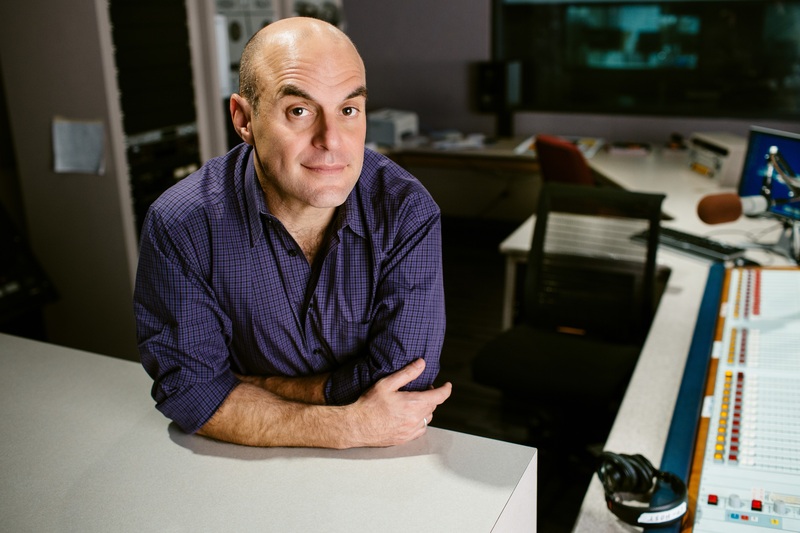 In 1997, Peter got a call from a friend telling him about a new show at NPR, which was looking for “funny people who read a lot of newspapers.” He auditioned and appeared as a panelist on the first broadcast of Wait Wait . . . Don’t Tell Me! in January of 1998, and moved with his family to Chicago to become the host in May, alongside our original judge and scorekeeper, Carl Kasell. In the two decades since, he has traveled the country with the show, playing in venues such as the Pritzker Pavilion at Millennium Park, Red Rocks, Tanglewood, the San Francisco War Memorial Opera House, and Carnegie Hall. He’s interviewed two Presidents, a number of Nobel Prize winners, astronauts and rocket scientists, musicians Elvis Costello, Yo Yo Ma, and Ice Cube, actors Tom Hanks and Scarlet Johansson and many, many others. Wait Wait has grown from 50,000 weekly listeners on nine stations at its launch to over five million listeners on more than 700 stations, making it the most listened-to hour in public radio. This, however, has not gone to his head. He has three daughters, Rosie, Gracie, and Willa, and lives in the Chicago area with his wife Mara and two dogs, DeeDee and Dutchie, who like to see their names in print.